Does This Guy Deserve A Lamborghini Aventador SV After What He Did To It? Just look at what he's done to his car! The Aventador SV is one of the coolest and fastest cars Lamborghini makes. Its 6.5-liter V12 creates 750 hp, launching it from 0-60 miles per hour in 2.8 seconds. It also looks and sounds amazing. 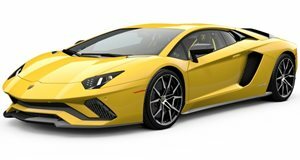 However, how would you react to a video of a beautiful Aventador SV driving around even if it’s cosmetically damaged at the front? That’s the case with this particular Aventador SV. It looks great and its amazing sound is more than enough to brighten your day. However, it’s heartbreaking to see the supercar with a damaged front fascia. Check out the video to see the damage ruin the look of the supercar. Try not to hate the owner too much.